LeewayHertz uses the Zoho Projects API to create several custom dashboards and reports out of live data from Zoho Projects. LeewayHertz builds mobile apps across different platforms for businesses. Established in 2007 and headquartered in San Francisco, they are one of the first to deliver commercial apps for the iPhone. They have built up a reputation of possessing expertise in delivering apps within tight deadlines. Screens such as the one above are displayed on TV for the whole team. 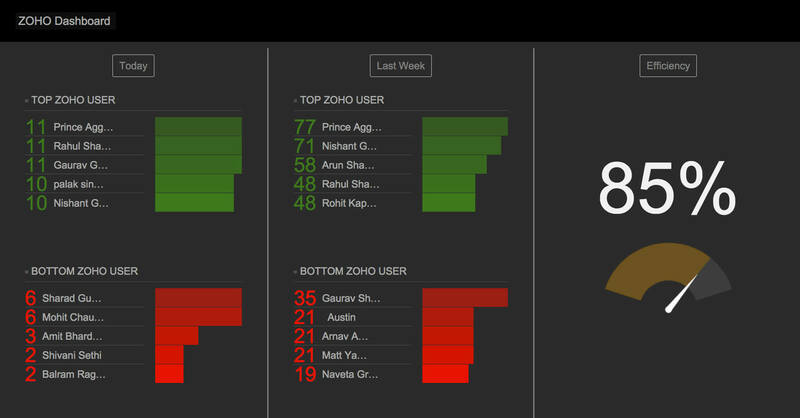 It displays the top and bottom Zoho users and the overall team efficiency. The managers have a view which shows them data according to their needs. 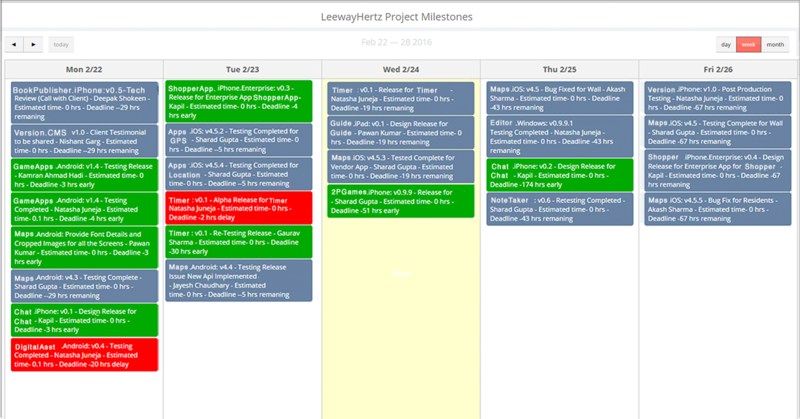 The above screen shows milestones using colors to differentiate those on time, those delayed, and those not delivered.